The Bachelor of Education with Honours in English language teaching and Bachelor of English Language Studies with Honours is a double-degree programme offered by the School of Education and Languages. By extending study into two summer vacations, students are able to complete five years’ work within four years and obtain two Bachelor with Honours Degree – one in English Studies and another in Education. * Students who have not studied developmental psychology at sub-degree level are required to take an additional 5-credit psychology course with an additional fee. 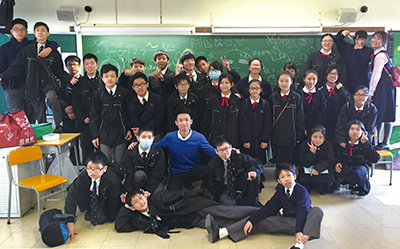 Students whose mother tongue is not Chinese or whose secondary school education was completed overseas or in International Schools do not need to meet the Chinese language requirement. The double degree programme aims to develop a good understanding of the structure, use and learning of the English language, and the sound professional knowledge and skills required of an English language teacher. With these two degrees, graduates will be recognized by the Education Bureau as having a language (English) major degree and teacher qualification. By holding the double degree, graduates will be fully qualified English language teachers in Hong Kong and be exempted from the Language Proficiency Assessment for Teachers of English. Graduates will also be eligible to take up general administrative and executive work in the civil service, non-government organizations, business or industry sectors and other positions for university graduates if they do not intend to be teachers. Graduates will be eligible to go on to further studies on a full-time or part-time basis. They may pursue postgraduate studies in either English Studies or Education, e.g.